Chic announcements, greeting cards, and invitations are now available from Keeping Me Posted. Best-in-class tools are available on the site to make your great designs with just a few mouse clicks. The state-of-the-art photo customization tools allow you to upload your photos from Facebook, Flickr, Picasa, and SmugMug. There are many various designs to choose from. The personalization tools can be used on the site to change the font color, size, and style. These tools easily change your photo from color to black and white or sepia. Preview your unique card design free of charge before you purchase it. However, if you want something else, then it’s no problem. A custom-made design can be created for you at no extra money spent. 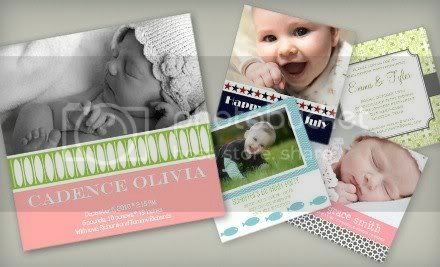 Cards are printed on thick matte paper using HP Indigo printing presses. All products are carefully reviewed during the various production phases so that your purchase gets to your home the way you want it. Visit Keeping Me Posted at www.keepingmeposted.com to let your friends and family know about a recent move or a special occasion. Disclaimer: This is a sponsored post for which I will receive monetary compensation from the company in exchange for this blog posting.